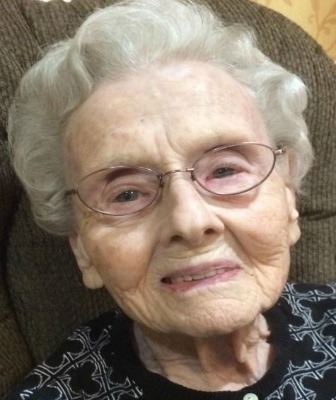 Isabel Brooks died on March 24, 2018 at Brethren Village at the age of 98. She was a member of Westminster Presbyterian Church. She was the widow of Leslie M. Brooks, Sr., who died in 2011. Isabel is survived by daughter, Suzanne Zartman, wife of Clark, of Antwerp, OH, and by son, Lee Brooks, husband of Fagel, of Akron, PA; grandchildren Carrie Shinebarger Reeb, Laura Shinebarger Johnson, wife of Rob, Brooke Shinebarger Gordon, wife of Dalton (all of Ohio); Aaron Brooks, husband of Tiffany, of Hudson, NH, Bethany Brooks of Philadelphia, PA and Jesse Brooks of Lancaster, PA; and by seven great-grandchildren. She was preceded in death by her daughter, Carolyn Lane and grandson Brett Palmquist, both of Dacula, GA in 2014. Widowed after ten months of marriage to Archibald Whittingham in 1942, Isabel married Leslie in 1946. They celebrated 65 years of marriage a month before his death. Isabel was a graduate of West Philadelphia High School, Class of 1937. She was a gifted administrative assistant and secretary in both full and part-time positions through many decades: at the Bell Telephone Company; at Tenth Presbyterian for Dr. Donald Gray Barnhouse; for Dr. C. Everett Koop; for Arthur De Moss of National Liberty Life Insurance Company; and, finally serving as Vice President of her husband’s business, Valley Forge Tours, during the Bicentennial Celebration of our nation’s birth. While she excelled in her work, Isabel’s greatest joy and greatest fulfillment was in being a mother, a grandmother, a friend and a hostess. Whether sewing, or knitting, or cooking wonderful dinners for gatherings of friends in their home or for sick friends, Isabel loved to serve others. She will be remembered for her sharp wit, her love of hymns and her ready laugh. Isabel long survived virtually all of her generation’s family and friends. Yet, her last decade was marked by thankfulness and a clear testimony of life-long trust in her Savior and Lord, Jesus Christ. The family wishes to express deep appreciation to the staff at Brethren Village for 12 years of loving service to both of our parents. Precious in the sight of the Lord is the death of his Saints. Our prayers are with you and your family!